Written and produced at Jukovsky Studio, Russia during 2003-2005. Mastered at JG Master Lab, Warsaw, Poland. Track 10 (Little Girl) is a splitted track which contains on the second part a remake of "White Rabbit", a song of the 60ies Band Jefferson Airplane. Fuzzion (Vladimir Kozlov) from Moskow, Russia, is finally out with his debut album on Boshke Beats. He is known for a techy edge on most of his releases, which has become quite many on various compilations by the years. Boshke Beats shows usually a pretty high quality in the tech trance sound, but this time we get shown a bit different sides of electronic music for a change. Several ”tech-trance” artists has gone new directions lately, and surprises everybody with eclectic electronic music reaching out to many different styles and ideas, just when you might expect something quite minimal and pumping all the way. Fuzzion is one of the artists who has for sure gone for variation in this album. Here we get tons of varation from beginning to end. We get everything from electro, tech house influences, synth pop and tech trance. This album is for sure not a boring voyage! Many of the tracks have simple, but good ideas and creativity. Some of of them is also quite melodic, which makes it to a much more interesting listening experience at once. 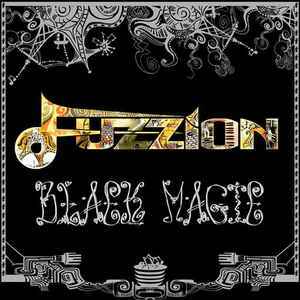 At the same time, Fuzzion puts in pretty rough edges in most of his tracks. One of my favourite tracks here is track 8 (Yellow Mellow), which gives me a bit of that early 90’s hard trance feeling, mixed with some funny electro details. We also get some happy vibes in these tracks (Not only black magic...), especially in track 9 (Starfall), which is a nice little synth pop track which brings me right back to happy 80’s vibes. The debut album by Fuzzion really surprised me with tons of creativity and variation! This album fits good for home listening, as a listening through voyage, passing through several different kinds of electronic music styles. Some of these tracks should also fit well on an techy electro influenced dance floor.